- Type of Product :: Split AC. Introducing eco-friendly refrigerant R410A in the 3 Star category. What’s more, this AC has all the features that you desire -Turbo Cooling, Blow Button, Hidden Display and many more. 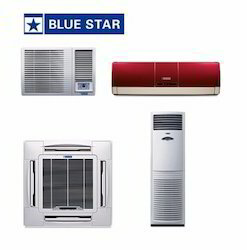 Blue Star Split Air Conditioner, For Office And Residential. Shri Anaveer Air Systems Solutions, providing Blue Star Air conditioner . You will find a wide spectrum of Service Solutions to meet all your requirements. Apart from the Standard Maintenance solutions, we also offer premium value added services for your critical needs.